« Day 144 in Beijing: Gym Mascot. Day 145 in Beijing: Even in China, Jill is Famous! 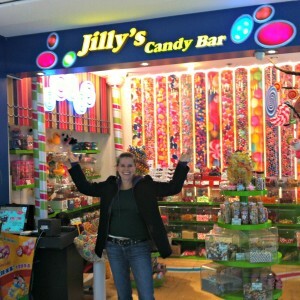 Jill and I went to dinner and walked by this candy store. We just had to take a picture. Since we are trying to eat more healthy and get in better shape before the brutal Beijing winter hits, we chose not to eat anything here. Jill definitely has a sweet tooth, as do I, but our will power allowed us to walk on by and put it off until another day. As we were taking the picture, the store attendant hid behind the cash register and stayed out of sight. This surprised me because Chinese people are usually very happy to be in pictures and seem to love taking pictures with expatriates. I’m guessing she was trying to be nice and not be in the way. Another fun find in Beijing for us!